The first use of the Rorschach in the UK was in 1933. Theodora Alcock, a child psychotherapist, Dr James Earl and Dr Eric Twist, both psychiatrists, were working at the Tavistock Clinic in London, when they ‘discovered’ the Rorschach technique. They saw the technique as opening up new possibilities in the area of psychodiagnostics. 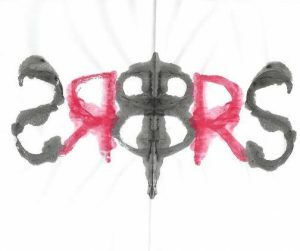 A few years later a psychologist called Professor Boris Semeonoff, who was working at Edinburgh University, became aware of the Rorschach when the test was delivered to the university. He later experienced the clinical application of the test when serving as part of the British War Office Selection Board where the test was administered, alongside others including the Thematic Apperception Test. By 1948 Theodora Alcock had built up considerable experience of using the Rorschach, following the scoring system developed by Klopfer in the United States. She began to provide teaching to clinical staff at the Tavistock Clinic under the auspices of the Tavistock Institute of Human Relations in London. In 1950 she started to provide a two-year course of weekly seminars, open to qualified psychologists and psychiatrists. This training was later extended to three years. Due to increased demand for the training she also began to offer summer schools in 1964 which continued up until 1968. She wrote a book entitled “The Rorschach in practice” in 1963, in which she commented on how few contributions to the vast Rorschach literature were British. After she retired, her colleagues at the Tavistock Clinic continued to provide teaching and supervision in the use of the Rorschach until the 1980s. During the 1950s, the test was being taught at the Maudsley Hospital in South London, on the clinical psychology training program established after the Second World War. However the program was headed by Professor Hans Eysenck who was later to become a staunch critic of the Rorschach and by the 1960s it was no longer included in the training. Professor Semeonoff was instrumental in teaching and promoting the value of the Rorschach, especially in relation to the study of the personality. While acting as an external examiner to other universities he noticed that psychology undergraduates knew very little about projective techniques, and this prompted him to write a book with the same title in 1976. In the early years, the Rorschach was used clinically to increase understanding of personality, and in London it was used for the diagnostic purpose of determining whether a patient’s difficulties were psychotic, neurotic or organic. The Rorschach was also used to assess suitability for psychotherapy, and in particular for ‘brief psychotherapy’ developed by Malan at the Tavistock Clinic in the 1960s. The Rorschach was used with children and adolescents in educational settings, and Paul Upson, a clinical psychologist at the Tavistock Clinic used it to assess adolescents who were engaging in risky behaviour. It was used in forensic settings, and until the 1980s was used in the routine assessment process at the Portman Clinic which was set up for the study and treatment of delinquency and sexual deviancy. Following the Second World War, psychologists used the test for the selection of military personnel. The British Rorschach Forum was founded by Dr James Earl in 1942. One of the key objectives of the forum was to ensure the maintenance of high standards of professional competence in the use of the Rorschach. The “Rorschach Newsletter” was published twice a year and forum members met regularly. In 1968 the forum hosted the International Congress for the International Rorschach Society which included 280 delegates and was thought to be a great success. During the congress, Professor Vera Campo from the Argentinian Rorschach Society was elected as a member, and she was actively involved with the British Forum until 1997. The forum changed its name in 1970 to the British Society for Projective Psychology and Personality Study. In the 1990s, membership of the Society began to decline, and the last meeting took place in 1997, when the final issue of the journal was published. 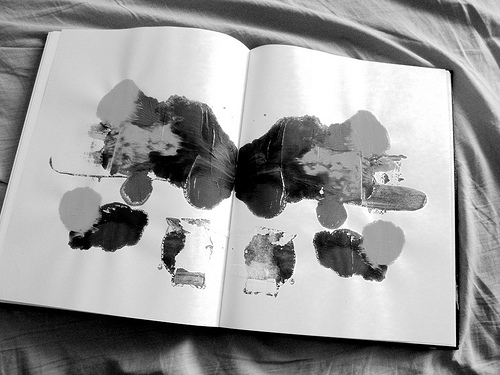 The decline in the use of the Rorschach appeared to be part of a general decline in the use of psychometrics which began in the 1970s, when testing was subject to sustained criticism. Some of the strongest criticisms of the Rorschach came from with the psychology profession. This coincided with the emergence of cognitive-behavioural therapy (CBT), which opened up the possibility for clinical psychologists to be therapists, and therapy came to be viewed as having higher status than testing, a view which continues to prevail today. Due to historical beliefs and perceptions about the Rorschach, most UK psychologists are unaware of the empirical evidence supporting the test. As a result, the test remains on the periphery of clinical practice for most psychologists. Despite this, in recent years there appears to have been a resurgence in interest, perhaps due to the provision of training, two conferences on the use of projective techniques organised by the Tavistock Clinic, and the influence of a group of psychologists who were trained to use the Rorschach in training overseas. The Rorschach Practitioners Forum was established in 2007 in London.